Britain won five medals and Katherine Grainger and Vicky Thornley qualified the women's double scull for the Rio Olympics on a stellar day at the World Rowing Championships in France. The men's coxed pair and lightweight pair claimed gold on Lake Aiguebelette. There were silvers for the women's four, lightweight single and quad to put Britain top of the medals table. 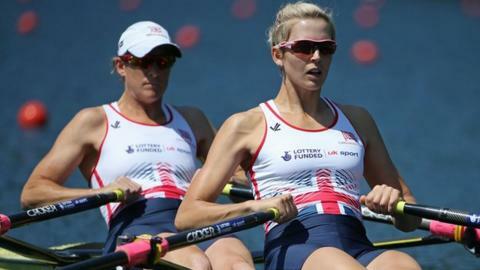 Grainger and Thornley will race in the double sculls final on Sunday after finishing third in their semi-final. Theirs will be one of nine British boats in the 14 Olympic-class finals held over the weekend. Scotland's Grainger won Olympic gold in the double sculls alongside Anna Watkins at London 2012, before taking a two-year sabbatical from the sport. The 39-year-old returned last September and won European bronze with new partner Thornley in May.